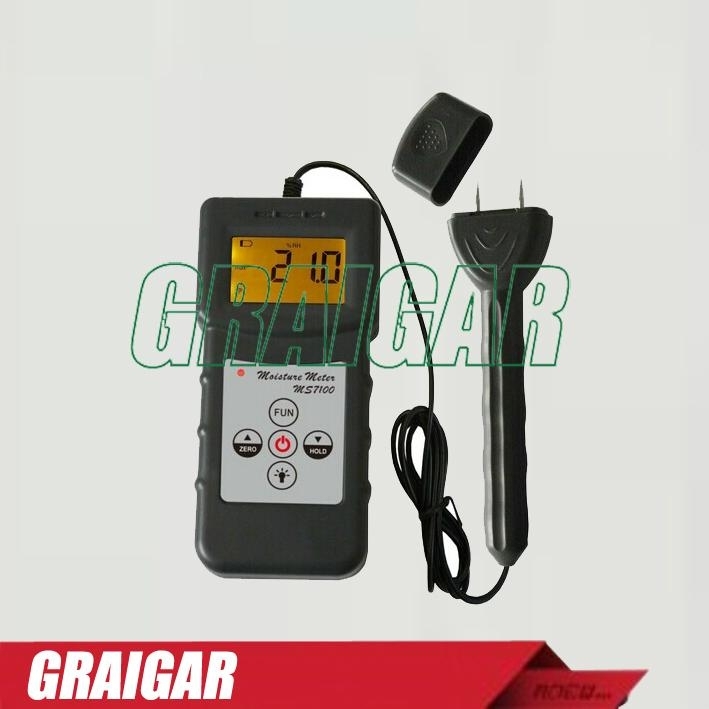 Wood/Timer moisture meter MS7100 is used for measuring moisture content of wood, Timber, paper, Bamboo, Carton and other materials. It applicable of woodwork, paper making, flakeboard, furniture, timber traders and other relevant industry. It is portable, compact, easy to use and the moisture measurement readings are instant. Digital display with back light gives exact and clearly reading although you stay at the somber conditions. It will save time and expense by monitoring dryness and helps to prevent deterioration & decay caused by moisture whilst in storage, therefore processing will be more convenient and efficient. The moisture meter operates by electrical resistance and has automatic temperature compensation. Manual off at any time. Auto power off after 5 minutes from last operation.